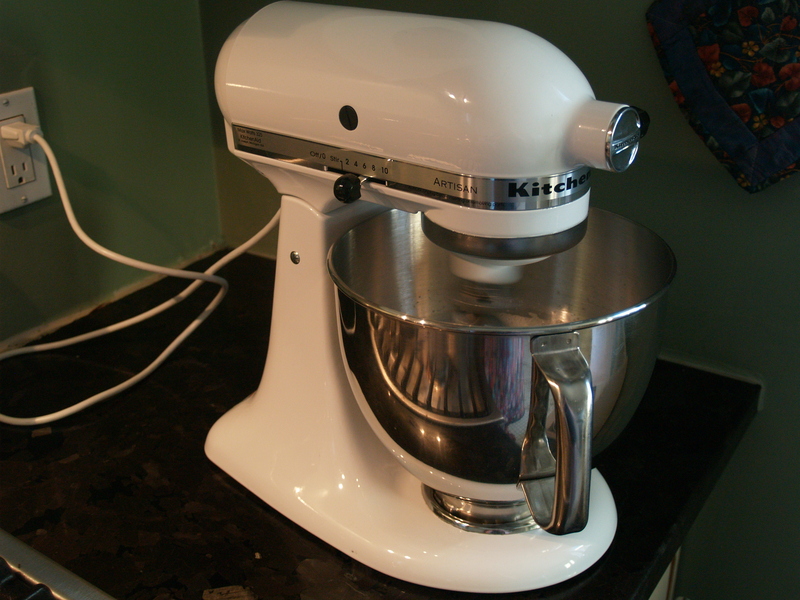 I made a bit of a Craiglist score last night and have finally satisfied my desire for a Kitchen Aid stand mixer (at less than half the price of new). This came with all the original attachments, plus the slicer/shredder set and the ice cream maker. Of course I immediately put it to work on some egg whites left over from making ice cream last week (hence the blur in the bowl). Our before-KA-stand-mixer belonged to Brian’s grandmother and has ceased standing (literally, it falls off the stand whenever the motor is running), my food processor is almost dead after 22 loyal years – and I like the idea of having one workhorse appliance instead of several cluttering up the cupboard. So this makes sense. 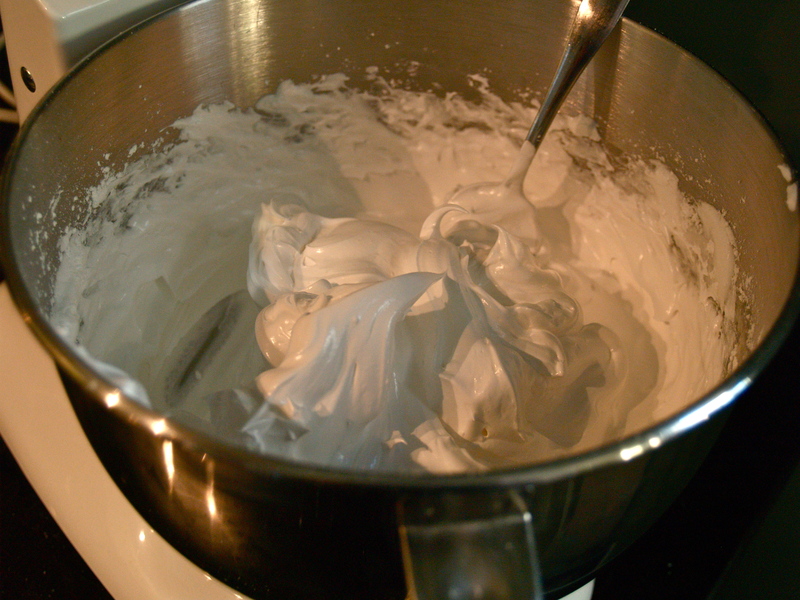 Below you can see my effortless egg whites which became meringues. I’ve never bothered with such things before because I hate beating egg whites to stiff peaks, but with the new mixer I just dumped in the eggs and let the beater do the job. Incroyable! ← Canning all the things.